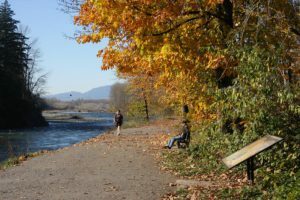 This gorgeous and well-maintained trail runs along Vedder River and is about 8 km long. It is a gravel trail where outdoor enthusiasts and photographers of any level can enjoy. Dogs remain on leash. Bikes are off to the side. Both horse riders and cyclists are polite and share the trail well. 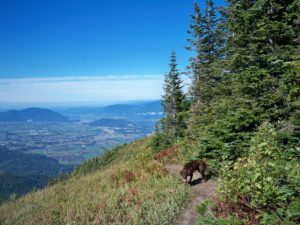 This trail starts off with a steep and unrelenting climb through the woods to Elk Mountain west ridge. With just enough space for a snack pit stop, hikers enjoy a view of the Fraser Valley. Meandering through meadows of wildflower and strawberries, people end up at the Elk’s 1,430-metre summit. Photogenic nature all around. 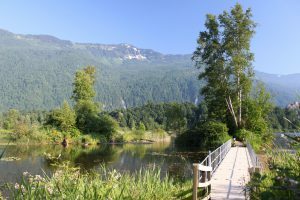 Cheam Lake Wetlands has trails that are divided into three sections and the longest two loops are about 1 km each. The shortest path leads to a viewpoint of the lake, perfect for a scenic shot. All three have little elevation change. The entire park is roughly 93 hectares with opportunities for birdwatching, picnics, short walks and family outings. 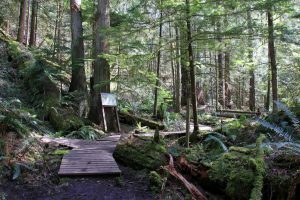 This trail is named after seven giant Douglas Fir trees with steps that allows you a close-up view when you are near the trees at the end of the trail. The trees are impressive although some have fallen as they get into their elder years and only three are currently standing. It’s a short hike – just 2 km – but it’s undeniably beautiful and awe-inspiring.